Dear Lord, thank you for helping us to be content in each and every situation. We have been home bound because of a freezing, polar vortex. We have been financially challenged. But, we are content. I am content to buy clothes at the good will store. I am content with shopping at a discount food chain. I am content with an older car. I am content with working out at the park district. I am content with my eighty’s cds. I am content with my plastic covered windows. Lord, thank you for bringing me into a time of contentment in my life. It is all because of your grace, your love and your truth. In Christ I am content. Meditating on your person, your word and your work around the world, I am content. You are truly living water to my soul. There are so many people that are not content, because they do know your grace. They need to know the springs of living water within their souls. Then they will not have to turn to the world to fill the “God sized hole” in their hearts. I pray that the people across our land my know Jesus, the Way the Truth and the Life and be truly content in God. Please bring contentment in my heart through your word. I pray in the soul satisfying name of Jesus Christ. Ben-Hadad was the king of neighboring Aram. He was a good politician and had allied himself with 32 kings in order to attack Samaria. Ahab felt powerless and gave in to Ben-Hadad’s initial demands, but when the Aramean king’s demands kept increasing, Ahab consulted the elders of Israel, and they decided not to surrender. When Ben-Hadad heard the news he vowed to turn Samaria to dust. I can see here the power of fear. Fear made Ahab negotiate with one who is in the darkness. Who would offer up people’s lives to a criminal in exchange for life? What if a criminal demanded my family in exchange for my own safety? I pray that I would not give into darkness and have to strength to say, “No way!” and stand up to the darkness with the light of God. Why should darkness prevail anyway? Why not allow the power of God, the power of light and life prevail? God is on our side. He is with. He will help us to stand and to prevail against encroaching darkness. This may mean the end of our lives in this world. But so be it. Darkness can not be allowed to prevail. We do not have be numbered among those who do nothing because of fear. No. We can be numbered among those act with prayer and faith in our hearts. Ahab had no plan of attack, but he received an unsolicited visit from a prophet of the Lord. The word of the Lord was that he would give Israel victory over the vast army through a few young provincial commanders. The Lord did this so that Ahab would know that he is the Lord. God was faithful to Israel. Their smaller army was able to rout the Aramean alliance. Ahab was a terrible king who never requested God’s help, but even here the Lord was faithful to his people and to his word. In the time of distress he made himself known. I can see here that the Lord will intervene to protect even a godless man and his government, like Ahab. God was acting in faithfulness to his people. But he came to the rescue. The Lord is gracious even to those who are far away. He rains down blessings on the righteous and the unrighteous. God was working through the young leaders in the kingdom. Look at verse 15 again, “Then he mustered the servants of the governors of the districts, and they were 232. And after them he mustered all the people of Israel, seven thousand.” The servants of the governors of the district were to go first. God wanted to bring about a victory through the smallest. God was working against what seemed reasonable, for it would seem more reasonable to send out the entire army, the crack soldiers, to ensure a victory. God really wants to work through the weak. He wants to work through the lowly and humble to bring about his victories in the world. He works through the weak to reveal his power and glory. This is a lesson for Christian leaders. Leaders are tempted to work through their best, through the people with the most credentials and higher degrees. But God has always worked through the lowly and humble. Think about the shepherds who were informed of the birth of Jesus. Think about the poor family of Joseph and Mary. Think about Jesus himself, who came as tiny baby in the manger, who rode into Jerusalem on a donkey. Paul reaffirms this whole topic in his letter to the Corinthians. 1 Corinthians 1:26-31 reads, “For consider your calling, brothers: not many of you were wise according to worldly standards, not many were powerful, not many were of noble birth. 27 But God chose what is foolish in the world to shame the wise; God chose what is weak in the world to shame the strong; 28 God chose what is low and despised in the world, even things that are not, to bring to nothing things that are, 29 so that no human being might boast in the presence of God. 30 And because of him you are in Christ Jesus, who became to us wisdom from God, righteousness and sanctification and redemption, 31 so that, as it is written, “Let the one who boasts, boast in the Lord.” (ESV) I rejoice that God chooses the weak to work through. For I am a weak one and Christ can work through me to reveal his glory. As a low level leader in the church and I can also look for the things and people that God can work through. And I may be surprised that he is choosing to work through weak. 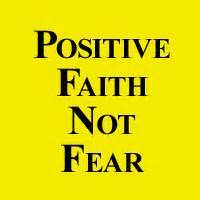 Prayer: Lord, thank you for helping me not be paralyzed by fear, but to step out in faith and act. One Word: God is ready to grant victory through weak people who have faith.